Whenever you make the switch – from iOS to Android, or Windows to Mac, for example, things can seem a little daunting at first, and although elements may look rather similar in places, they don’t always function in the manner in which you are used to. While the changes in Windows 8 aren’t necessarily as different from previous versions of Windows than they are to, say, OS X, current Windows XP / Vista / Windows 7 users still might feel as though they’ve been dropped into unchartered territory, and might find Windows 8 a little tricky to get to grips with. Anticipating this, Microsoft has prepared a relatively lengthy list of your everyday keyboard shortcuts to help you become acquainted with the new operating system. It doesn’t list every single shortcut available, but for your day-to-day needs, it does include most of the important ones. 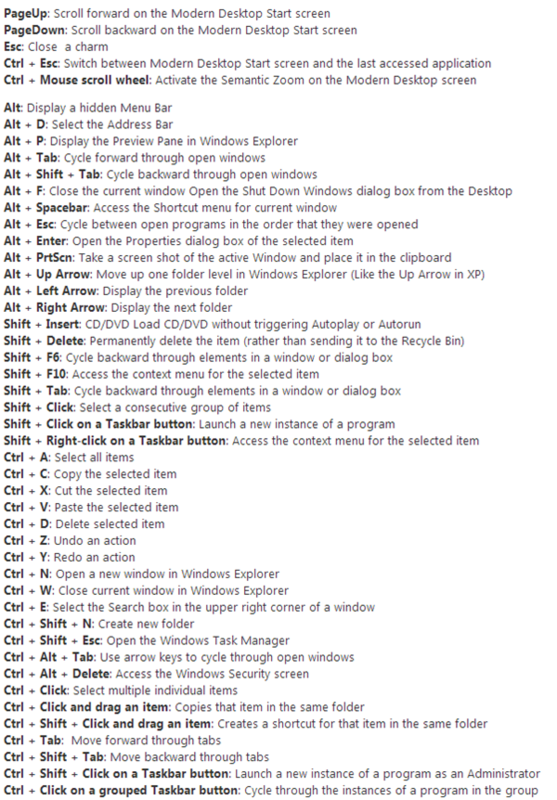 Ultimately, the tiled interface of Windows 8 is intended to operate in a smooth and seamless manner, so keeping a mental note of the best keyboard shortcuts will certainly help you get the most out of the just-released OS. The list is perhaps a little too long for you to memorize them all in one go (unless you’ve a photographic memory, of course), so I think the best course of action is to simply flit through, learn a handful of them, and then keep checking back should you wish to add a few more to your repertoire. 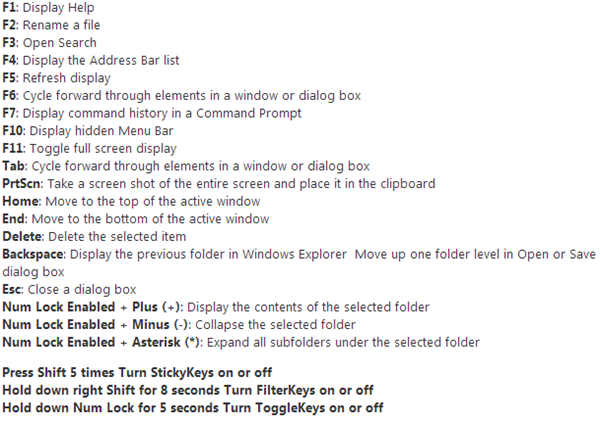 And to think, that’s only a fraction of the total number of keyboard shortcuts available on Windows 8! 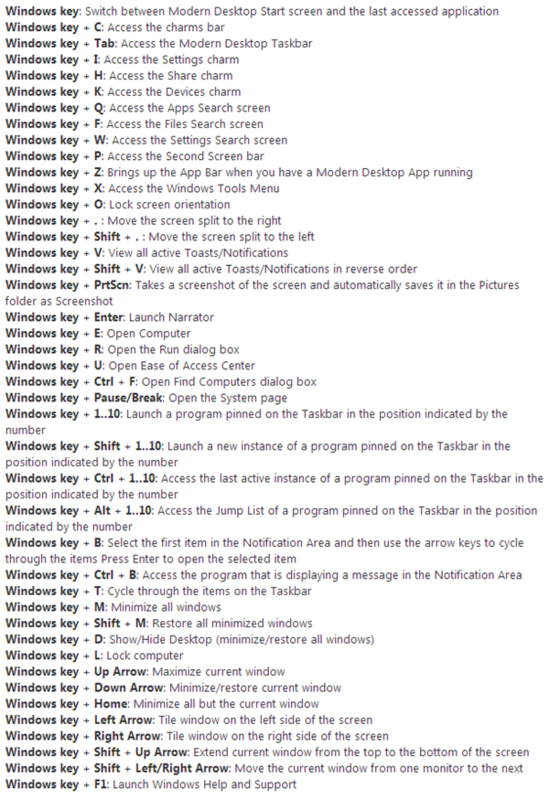 At this point in time, it’s pretty difficult to gauge the reception of Windows 8. Us tech fans welcomed Microsoft’s latest and greatest, but techies account for a small portion of the total eventual number of Windows 8 users. When news PCs, notebooks and tablets begin arriving with Windows 8 and the "general" consumers begin using, it will be then that the OS is really put to the test, and although its tablet credentials aren’t really in question, one has to wonder how they’ll take to the tiled look and feel when using a traditional setup. 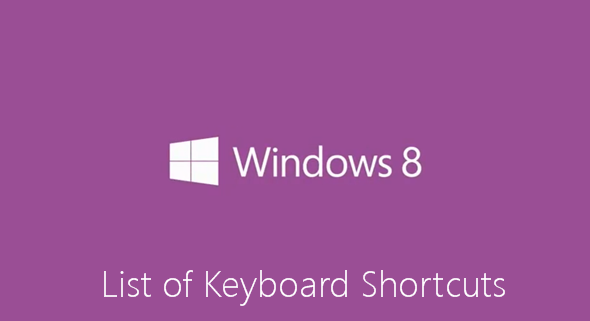 Still, if you’re an early adopter of Windows 8, the aforementioned shortcuts could be priceless, and if you’ve still yet to upgrade, why not enter our competition to win yourself a copy?